Trolly tours of the island. For decades, Oleander Cycles has been Bermuda&apos;s most trusted moped rental agency, offering the highest quality bikes and scooters available on-island to locals and visitors alike. We have rental locations Island-wide including King&apos;s Wharf and Heritage Wharf Cruise Terminals both at The Royal Naval Dockyard. With convenient locations island wide, we also retail new bikes, offering sleek, fuel-efficient models from top quality brands like PGO, Kawasaki and TGB. As an authorized dealer, we represent the entire Kawasaki Jet Ski line... Request a quote today! 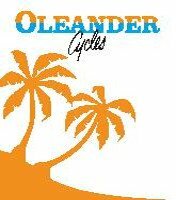 Whether you need a rental, sale, accessories, basic servicing or general repairs, Oleander Cycles is the only place in Bermuda to turn. We’re proud of our reputation – built on word of mouth – and consistently strive to meet the needs of our customers both Bermudian and international.